From storyboarding to feature film distribution – and everything in between – if you want to spend your life behind the camera, this 2-year diploma covers everything you’ll need to know. Studying two evenings a week on the first year (7- 10pm) you will gain a solid understanding of the production and post production processes used within film and television. It covers a wide spectrum of contemporary output, including short films, adverts, music videos, web series’, corporate and television programmes and feature films. 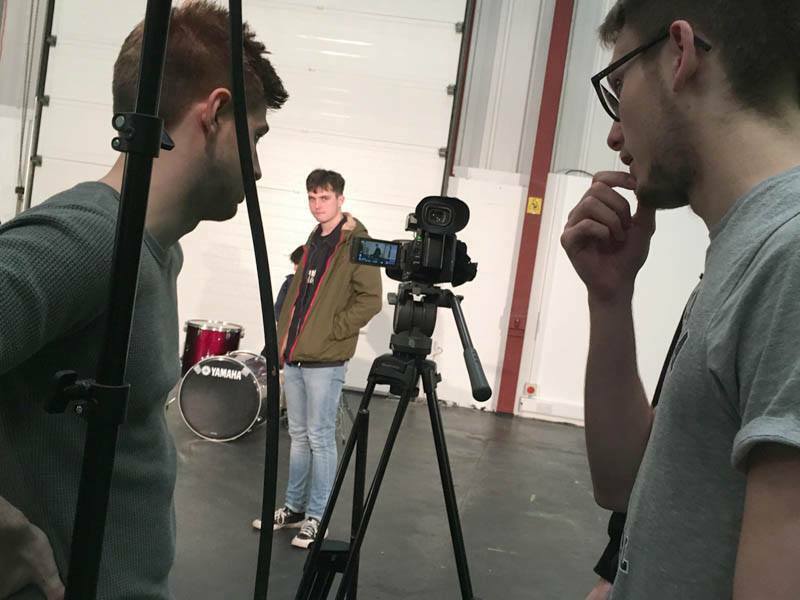 Year 1 delivers the necessary skills, from storyboarding and scriptwriting, right through to working with professional equipment and industry standard software. You will develop your production skills while learning advanced processes such as directing actors, production skills, complex camera work, and sophisticated lighting techniques. The course also includes your official Avid Media Composer 101 and 110 certifications worth over £1000. You will find yourself working on real life industry briefs, working in collaboration with audio and visual effects students to produce finished content to the highest professional standards in our industry standard facilities. During year 2 you will have full access to all of our excellent facilities and the ability to set your own timetable that suits you. You will be allocated a mentor to work with throughout the year allowing you to build on your knowledge and create your own personal learning environment. You will work with your mentor to enhance your specialist area, such as directing, writing, producing or more technical roles such as Director of Photography (DOP). All teaching is done by experienced professionals who understand exactly what the industry demands from newcomers. Our tutors are all involved in commercial work outside of teaching and encourage you to get involved with real world projects too, so that you leave the course with a truly impressive portfolio. This course is highly regarded in the industry. It will give you the skills (required in both production and post-production) and expertise needed to excel in a variety of industry roles. Successful students have used this course as their first step to becoming directors, producers, editors, camera operators, lighting technicians, colourists, as well as independent filmmakers and production freelancers.